Is there Life after Death? The Bible Evidence for Understanding Spirits! (Ver 1.4) This is Part 1 in a series of lesson on the important Bible subject of understanding death. Today I will discuss a very basic foundational subjet but also an extremely important Bible truth in an attempt to make a potentially complex subject as simple as possible. I always like to emphasize that the Bible is a highly complex spiritual book of information that the natural human mind is incapable of understanding. This is the greatest and number one problem with why people read the Bible and do not understand what it says. God is the most intelligent being in both the Spiritual and Natural realms. God designed the Bible in an intelligent spiritual manner to give man the right to be wrong in everything that they believe. There is really no clear evidence for anything in the Bible, because people can put their own interpretations upon every verse and ignore all the other verses that do not fit with what they want to believe and thus they come to the conclusions that they desire to hold on to. That is a pretty stupid way of interpreting the Bible, but people do it every day. By not being consistent and by not taking every related verse into account they have concluded some vastly erroneous teachings. Today’s lesson surrounds what the Bible says about “Is there Life after Death?” This is obviously a highly controversial subject with a wide variety of opinions to the possible outcomes. Here is the difficulty that most of us face, none of us have died and come back to tell what happened to us after we died. The majority of dead people on the earth are dead and have not been able to return form the dead to tell anyone about the after life experiences. And if anyone did die and come back would anybody believe them, since they would hold no evidence or pictures to convince anyone of what they were trying to tell the rest of the world? Our experience of death would only help to motivate us personally and would not have a real effect on most other people, especially to those who do not believe like we do. So what then do we do? I believe that we are given a Bible by God for the basis for all of our knowledge and for what we believe in our faith. If what you believe is not based upon what the Bible says, then you really have no ability to be confident of anything that you believe in. Faith is believing in something that we have no physical proof or evidence of possessing. The Bible also informs us that our faith is based upon the Word of God. So a Christian should be most concerned with what does the Bible say and reveal to me on the subject of death and the afterlife experience. Here is why I am addressing this subject today. I had a very deceived individual who believes that when people die, they go into a state of sleep, until wakened for judgment day. These types of believers do not believe in the existence of hell or eternal damnation or punishment. They want to believe that after this life there are no consequences for what we do here on the earth, how we believe, or whether we make Jesus our Lord and Savior or not. According to them those that are not saved by God are eliminated from future existence, they will have no consciousness of ever having been here on the earth or for ever existing at any time on this planet. This type of teaching is one that I have heard proclaimed for many years. It is called a doctrine of “Soul Sleep” or a “Spirit Sleep” theology. They claim that everyone who dies goes to sleep until God chooses for the time of judgment. These people have many Bible verses that they believe that they can stand on and I do not deny that these verses exist. However, I do deny their weak erroneous interpretations of them and how they have twisted them to determine how they use and apply them with their natural minds to drive others into believing the lie of an eternal solution for an end of natural life with no eternal consequences. This is a classic example of ignorance being combined with stupidity going to seed and being multiplied into deeption. God says in Hosea 4:6 “My people are destroyed for a lack of knowledge”. Therfore what you don’t know will end up killing you and sending you to hell. You better make sure you know the truth before you believe something someone tells you is the truth. The only way you can be insured is for you to read the whole Bible and make sure there are no other verses that confilict with what someone is telling you is the truth. So rather than telling you about all of the verses that they have misinterpreted, I want to focus mostly in on verses in the Bible that will put holes in their theological erroneous teachings. These are the verses that they purposely ignore or are forced to explain away so that they can hold on to their fantasies. Let’s look at some of these verses about death and life after death today and you can be the judge and see what the Bible is saying for yourself. Deu 34:5 So Moses the servant of the LORD died there in the land of Moab, according to the word of the LORD. Here we have an account written by God in the New Testament that declares that Jesus went up on a mountain to pray. He took with Him, Peter James and John. So we have 3 key witnesses to what is about to happen next. Is this a real story? You bet it is a real story. God is not a liar. So Jesus is praying and what happens? Uh oh? Moses is there with Jesus on top of the mountain and he is supposed to be asleep somewhere in la, la land. I really thought he was supposed to be sleeping until judgment day according to what these people care to try to teach us. Do you understand how wrong some people’s teaching can beceom? Here Moses died at least 1500 years before Jesus came along and he appears with Elijah to talk to Jesus. I guess God must have awakened them from their sleep? Maybe God sent a princess to kiss Moses so that she could awaken him from deep spiritual sleep? Do you understand what happens when you deviate from the Bible? You have to start making stuff up and your lie is then as good as anyone else’s lie. Let’s stop here and think about this logically. If Moses and Elijah were asleep for the last 1500 years or so, and do not remember their life on the earth and were just awakened for some quick purpose of God, what would they have to talk about with Jesus? Do you think that Jesus was the only one talking here and they were just getting filled in on the updates of the last 1500 years? You see there are certainly ways to explain away what the Bible says if you do not wish to embrace it. However, it is so obvious to me that since Moses and Elijah were present with Jesus on the mountain top, they were clearly not asleep and could remember things to talk about. It would be a very far stretch to say that they were ever spiritually asleep either. So you believe whatever you want to believe, I’ll still stay with the truth. So let me approach this subject of Soul Sleep from a different angle now. When you are asleep naturally speaking, are you ever aware of anything that happens? What about your dreams? Do dreams ever happen, do you ever remember them? Are there accounts in the Bible of anybody dreaming? You should probably understand if you have ever read the Bible that there are many people who have heard from God in a dream. Do you understand this? You have the story of Joseph in Genesis 37:5. Then in Matthew 1:20 we have another man named Joseph who heard from God in a dream about marrying the virgin Mary. So people do have dreams and people can remember them and hear from God even when they are physically asleep. So what is the problem? How do you ever remember a dream? After all you were sleeping. That is a million dollar question to ponder. You see your spirit inside your body never sleeps. Even when your body is asleep your spirit is awake and capable of hearing from God. Interesting isn’t it? The Bible says in Psalms 121:4 that God neither slumbers nor sleeps. This tells us very clearly God does not get tired. A spiritual being never needs a nap, to rest up or regain spiritual strength. The problem with most people, they think that man is somehow different from God and this is their downfall. Because they think naturally, they come to the wrong conclusions concerning spiritual truths. This is the most significant way that God keeps people from seeing what the Bible really says. In their minds they have the wrong basis of reference or the wrong perspective on things that were written. If you are driving in a car, when you start out going in the wrong direction, it is sometimes very difficult to get to the right destination. So it is with Bible interpretation. So people forget that the Bible says that Adam was made in the image and likeness of God. God said “Let US make man in our image after our likeness…”. When you don’t believe what the Bible says in one spot it makes it doubly easier to disbelieve another spot. So my point is if God (who is a Spirit) does not sleep or nap, the spirit of man does not sleep or nap either, because we were made in the image and likeness of God. If you want to see what the Bible really says, sometimes you have to change your perspective. Sometimes this requires you seeing things like God sees them. Sometimes it requires you to see things the way others see them around you. This is just part of the complexity of understanding the Bible. So why did I go through the explanation of dreams while you are in a natural sleep? It was only to show you that your spirit never sleeps and that is the only way that you would remember what you dreamed. So you decide what you want to believe, I’m still going to stay with what the Bible actually says. People who choose to believe in a “Soul Sleep” ignore verses like this one in the Bible. Here is Paul writing to the Philippian Church and he is speaking of a decision that he is trying to make. He is trying to determine if he should stay here in his body and help them or to leave his body and go be with Christ. Uh oh? That is a pretty strong indication that there is no sleep time in between death and what occurs afterwards. Paul calls death for a Christian something that is a “FAR BETTER” thing than staying here physically and living on the earth. So what would make death far better for anyone that would only go to sleep until judgment day? 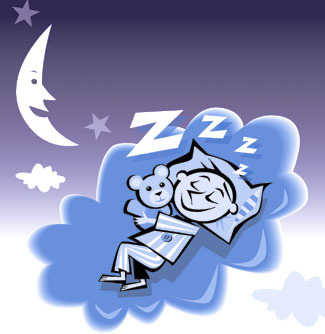 Sleep is not better than being awake, alert, aware and conscious, is it? If you think it is you are a vastly deceived individual. Christians, who die according to what Paul just said, leave their bodies and go into the spiritual realm of heaven to be with Christ. That is what would be far better than being here. You walking on the streets of gold, you beholding the face of the one that died for you, you standing before the throne of the living God and you surrounded by all of the angels, and your Christian relatives and friends that have gone before you. That is the definition of a “FAR BETTER” time if you ask me. That is the only explanation of this verse that makes any sense to me. Seeing my earthly father again, seeing my son again, seeing my Heavenly Father for the first time, seeing Jesus Christ and the nail prints in his hands and feet, that is what gives me hope. Spiritual sleep is not hope, it is nothing to look forward to, it is nothing that you can call better even a little bit. What is FAR BETTER to you? How do you define “FAR BETTER”? It could make all the difference in the world. So I could go on and give you many other Bible verses, that talk about death, heaven, hell and other related subjects, but I have gone long enough for today. I pray that you will take the truth of God’s word and hold fast to it so that no man will deceive you with lies from the enemy. I have found that some people are not capable of being helped. No matter how much you try to show them. These are what I call “Concrete Christians”; they are thoroughly mixed up and firmly set in their ways. They do not read the Bible with an open mind to allow the Spirit of God to teach them anything. They do not wish to see the truth, because they are happy with their perception of reality. They have extreme tunnel vision and only see what they want to see. Whatever you do, do not become as one of these types of people. Always stay open to change, but always base your change upon the Bible only. It saddens my heart tremendously when I encounter people like this if they are that easily deceived then they are open to other deception as well. The Bible says that there will be many in that day that come before Christ and say Lord, didn’t we do this and that in your name and Jesus will look at them and say depart from me for I never knew you. Do not be one of these! May God Bless you and help you to see the truth of His glorious Word! The Sin Unto Death! Part 2 The Unpardonable Sin! (Ver 1.3) Today is Part 2 on the subject of “Once Saved, Aleays Saved”, “Eternal Security”, or “Unconditional Security” of the believer after salvation. I will continue to talk about this subject today in greater detail giving you a new perspective on the subject that I call the introduction of the unpardonable sin. Does an unpardonable sin exist? Can a Christian commit this sin and even lose their salvation? In the first lesson on this subject I contrasted the teaching of some churches that is often called the doctrine of “once saved, always saved”, to a new but clear reference found in the Bible of what God calls the “Sin Unto Death”. In that lesson I taught that God instructs us not to even pray for a person that has commited this type of Sin Unto Death. If you did not read this first lesson, I would strongly suggest that you go back and start your reading with “Part 1” and then continue forward to today’s lesson. This verse in Hebrews is another prime example of someone who was saved by the shed blood of Christ and who has now wilfully chosen to go back to sin. Wilfully displays a choice of their freewill. This verse describes a Christian that has learned the truth of God’s Word, but now decided to ignore it. I gave you another verse in the last lesson and it was interesting to see that this person was described as someone who has trodden or walked on the Son of God in verse 29. This is a common Bible term that is used for when someone defeats an enemy. So to this person, Christ is no longer their savior, but has become their enemy. When a person turns back to this old way, you can read here in vese 26 that there is no more sacrifices that can save them. This verse says that they had accepted the one true way to God but have now turned away from the truth and as a result have lost their salvation without any hope for salvation. That is a clear definition to what an unpardonable sin is. God clearly tells us that there is only one sacrifice for our sin, not two, three or more. Christ died one time on the cross, so do not take it lightly, thinking that it is OK to walk away from Christ and that you can come back whenever you like. This is the sin unto death that God is speaking of. Here is a new problem that I was recently introduced to. One persons tried to explain away all of these verses in Hebrews 10 as not applying to Christians because they said this book was only written to the natural Jews or the Hebrews. Wow, people can become so deceived, can’t they? How ignorant do you have to be to not see this book was written to church? That means it was written to me! That means the scriptures apply to me. If you used their logic then the book of Timothy only applies to Timothy and we should it ignore it also. Using their logic the book of Romans was only written to the people in Rome so we should iginore that one also. I could go on and on like this through every epistle in the N.T. and explain each of them away using some ignorant human reasoning. I’ve seen this type of behavior by Christians and even seminary graduates repeatedly. Whenever they do not want to embrace a truth as being applicable to them, they say it was written to someone else. Heaven help them to see the truth! From G989; to vilify; specifically to speak impiously: – (speak) blaspheme (-er, -mously, -my), defame, rail on, revile, speak evil. Obviously, according to this definition, blasphemy is the spoken words of a person, that are directed against the character of God. As you can see it implies that God’s character and nature is good and yet I hear men constantly speaking of Him in terms of being an evil being. I would be very careful with what you say about God, after reading this verse. If you walk about speaking of God as being evil or being the reason for evil you do not understand the Bible and are in jeopardy of being guilty of blaspheming the Holy Spirit of God. I heard people speak of God being responsible for the 9/11 attacks of the terrorists and that to me is blasphemy. I have heard people claim God is responsible for the earth quake in Haiti, and that to me is also blasphemy. Satan uses whatever he can to try to deceive you. I have been guilty of this in the past. Because of my ignorance of the Bible, Satan used my ignorance against me to his advantage when I was young. I remember when I was a kid growing up in church, a traveling minster came into the church and spoke. I do not recall everything he was talking about, but I do know that he spoke about the “unforgiveable sin”. Later in my life, as I was getting close to 21 years old, I was faced with a very hard set of circumstances. I was recently married and my father fell unconscious in his living room. It appears later that we found out that he had a stroke. They rushed him to the hospital and he lay there for a few days still unconscious. Now my father was a preacher a big part of my life. He went to Bible school and had a church that he was the pastor of and seemed to me to be doing the right things. One day as I drove by the hospital I was very discouraged and down about the situation and I said out loud “if this is the kind of God you are, I don’t want anything to do with you”. You see we had many Christians praying and God was not appearing to answer. What I did not know was all of the things that God had tried to do months earlier to get my father to change and fix the problem that was causing these results. My father either out of pride or rebellion did not heed the warning given to him by a great man of God that tried to help him. My father was sitting in a Bible class with this man one day and God showed the teacher that my father was going to die. God told the teacher what to say to him and asked my father to come see him privately to talk about it. This man prayed for my father in public, but did not tell anyone what he saw or what God said. Months later this same man spoke at my father’s funeral service. God put the responsibility of what happened to my father in my father’s hands and my father chose to ignore it as being unimportant. You do realize that God leaves your destiny up to you and you alone? So now the years went by and Satan used the fact of what I said to God to convince me that I had committed the unpardonable sin against God. Satan used the words of a minster from my childhood to convince me that I could no longer by saved. Ministers need to learn to be careful what they say to who. If they are not careful they can affect someone just as easily negatively as they can positively. There were times that I thought of suicide and had a desire to just end it all. But, thank God for His mercy and His grace! You see later in my life I had another situation come up that I had no other place to turn, but to God. In crying out to God for help I started to seek Him to know Him better and to see if I could still be saved. I learned from my mother that God had tried to help my father months before he died in that Bible class. So it was not God’s fault that my father died. So even though I blamed God for it, it was because of my ignorance of the situation that caused me to say what I did to God. God as a result did not hold it against me and God could still and did forgive me. One night with my wife, after I had been seeking for more of God, God came upon me and then filled me with His Spirit on the inside. This was a manifestation of His Spiritual divine power like I had never experienced before or since. God solved Satan’s plan of deception with an experience that left no doubt in my mind that God was real and that He was on the inside of me and I belonged to Him. I now knew for sure beginning that night that I had not committed the unpardonable sin and that God cared about me personally enough to prove it. So I cannot guarantee you that God will do for you what He did for me in the exact same way. Rarely have I ever seen God do the same exact thing twice in the precise same way. However, God knows how to reach you if you are interested in being reached. If you believe in God, like I did you have half the battle won. If you want more of God and are truly hungry and thirsty for more of His Spirit, you are on the right path to allowing God to work in you, however He sees fit to make Himself real to you. God is sovereign and God is omnipotent. But, God will not override your will or your choices. God will remain hidden, until you make the choice to seek Him diligently. So I gave you a mini version of my testimony and I usually do not talk about me in my blogs. My blogs are not about me! However, I think my experience might be able to help someone so I included it in hope that the right people would find it. If you are concerned that you have already committed the unpardonable sin, but are questioning it and reading this blog, you probably have not. Satan is very tricky, he definitely uses what you do not know to hurt you and deceive you any way that he can. Satan uses your thoughts against you. He puts doubts and thoughts in your mind to mislead you into destruction. Be hungry for the truth! Seek God with all of your heart! God will not let you down, He actually wants to show you how real He is. There will always be a choice set before you as long as you are on this earth in the flesh. God will never take your ability to choose away from you. You can choose to obey Him and His Word or select to go your own independent way. This verse in Romans clearly says that you still have responsibility and the choice to make and this verse was specifically written to Christians. There is still a “sin unto death” and this is also called by the synonymous title of the “unpardonable sin” that Jesus spoke of in Matthew. If you still do not understand what these are you should go back and reread these lessons and look up every scripture in your own Bible and study them more until you get them on the inside of you. I’m not through with this subject because God says many more things in His Word that we need to know about it. So I will continue “Once Saved Always Saved” in the future. God Bless! If you would like to continue reading on the subject of Once Saved Always Saved you may continue with “Part 3“.